It’s that time of year again! 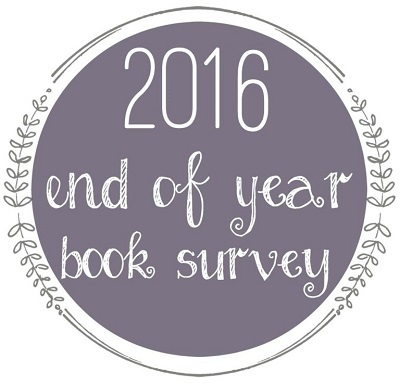 The book geek in me rejoices, for it’s time for stats, lists, and the End of Year Survey from the Perpetual Page Turner. This year I’m going to start with my stats because I made some pretty pie charts for them, heheh! Note that my stats are more extensive than the ones listed on the official survey. Also, I apologize in advance for the length of this post. 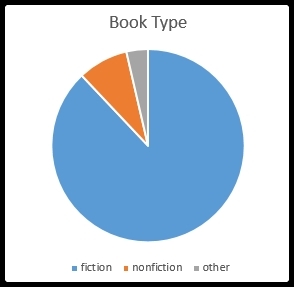 Once again, my nonfiction is back to my normal ~10% this year, after the giant spike in 2015. 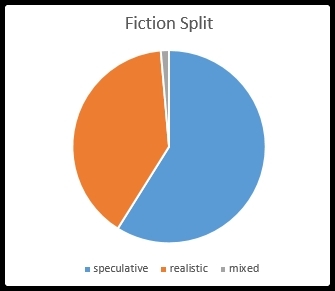 I didn’t quite make my goal of 50% audio this year, though to be fair, this doesn’t count audiobooks I read multiple times. If I counted all the multi-listens, this would be closer to 75% audio. 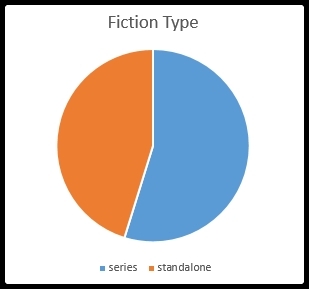 My fiction was more balanced than usual, with more realistic reads than in previous years, and similar counts for series/standalone. Both my adult and children’s counts are up this year! I like this balance. 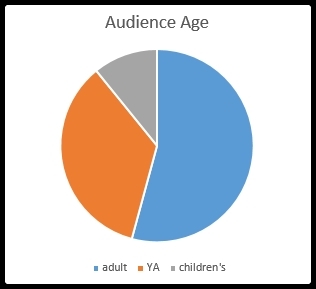 Most read authors: Brandon Sanderson by far takes the cake here with 10 books. Runners up include Kiera Cass (6), Eloisa James (4), and Jonathan Stroud (4). And now, for the survey! This year I’m not answering every question, as the survey has gotten quite long. I’m picking and choosing my favorites from the options. Also note that I’m not including rereads in my answers. Words of Radiance by Brandon Sanderson, hands down! Because this will be my answer for many of these questions, however, I’m going to include runners up on any question where WoR overshadows the rest of my reading year. 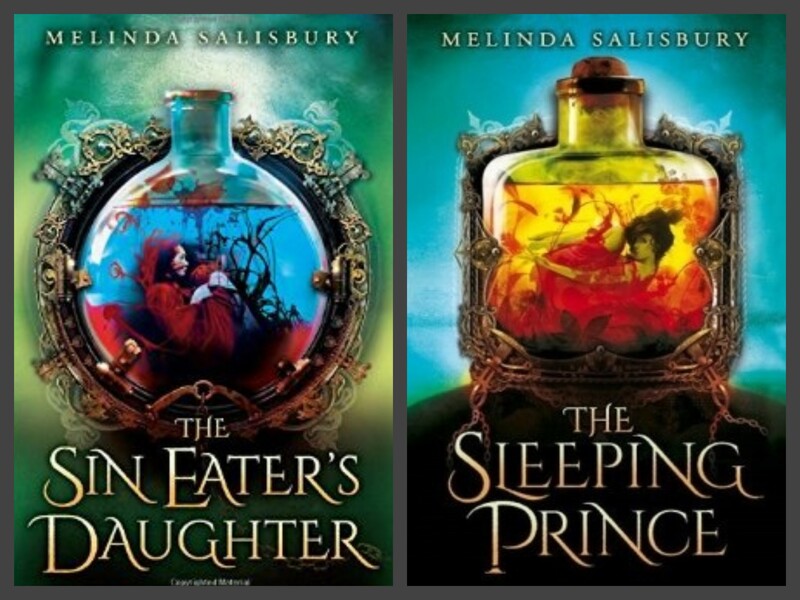 For other favorite books in 2016, runners up include The Sin Eater’s Daughter, Bellweather Rhapsody, The Raven King, and The Girl With All the Gifts. Three books fall under this unfortunate umbrella: Shadow Scale (Rachel Hartman), A Drop of Night (Stefan Bachmann), and Harry Potter and the Cursed Child (Jack Thorne). Ooh easy question: The Sin Eater’s Daughter by Melinda Salisbury (started), Words of Radiance by Brandon Sanderson (sequel), and The Raven King by Maggie Stiefvater (ender). Excluding Words of Radiance (which I read and listened to roughly a dozen times this year), this would be The Girl With All the Gifts by MR Carey. Pattern from Words of Radiance, with a runner up of Melanie from The Girl With All the Gifts. Words of Radiance. No runner up because that’s the only book on this year’s list that I’d put off for a long time! Excluding the many lovely friendships and family relationships in Words of Radiance, I’d have to say my favorite is the ragtag “family” in Like a River Glorious by Rae Carson. Excluding sequels, this would be The Trouble with Destiny by Lauren Morrill. Um…Words of Radiance. Also, The Trouble with Destiny. Also, The Raven King. And as a fitting tribute to the best book of the year, this is also Words of Radiance, which made me cry both sad and happy tears. No runners up because I so very rarely cry at books, so it’s impressive that WoR made me cry more than once! Now, out with the old, in with the new! Happy New Year, and welcome 2017!! I really need to get to Words of Radiance myself. 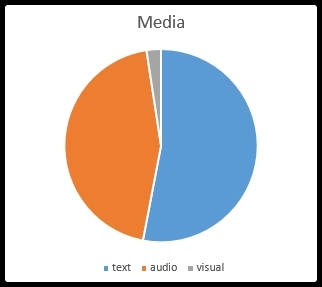 I am doing better with audios, so maybe I should do it on audio! It is really fabulous on audio. I don’t think I would have gotten nearly as much out of it in print.